This book is not what I was expecting. I was expecting an academic, footnoted, socio political treatise on Appalachia... a book that might help explain the results of the recent election. What I got instead was a heartfelt memoir of one young man's upbringing in the rust belt of southern Ohio. So much the better! This book is every bit as entertaining as it is informative. 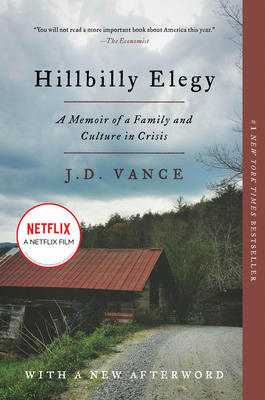 And while his experiences and struggles do help explain recent politics, Vance does not serve up a singular portrait of his birthplace. I found the people both endearing and exasperating. Do I agree with all their choices? Not so much. But do I understand the people a bit better after reading this book? A definite yes. And understanding each other is something we all can use a bit more of in the coming year.